The aim of this overview is to critically analyze the fossil evidence for the alleged apemen that are not classified in the genus Homo. Each of these hominid candidate species will be examined in roughly ‘evolutionary’ chronological order, beginning with the earliest. The skeletal morphology of these alleged apemen indicates they were extinct apes that had nothing to do with human evolution. 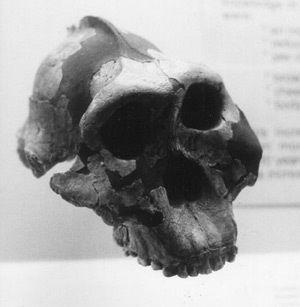 Sahelanthropus tchadensis, best known by the cranium (TM 266-01-060-1) nicknamed Toumai, was announced to the world as the earliest-known hominid in July, 2002, amid extraordinary publicity. However, the relegation of Sahelanthropus to an ape, by some experts, did not receive the same media attention. The supposed apemen belong to a category of fossils known as hominids, a group that includes living humans, their ancestors and any other ape-like creature believed to be more closely related to humans than to chimpanzees. Some evolutionists now refer to this group as hominins.1 The term hominid is nonsensical from a creationist point of view, because the hominids were either human or apes, not anything in-between. The term is used here only to categorize these fossils, and does not imply a belief that such creatures really existed. According to evolutionists, the defining moment for determining a hominid is the hypothesized split between humans and chimpanzees. In the past the human and chimpanzee calibration point has been determined by a molecular clock to be 5 million years ago (Ma), using as calibration point the supposed split between Old World monkeys and apes 30 Ma, as determined by conventional radiometric dating of fossils.2 The split is now thought, by evolutionists, to have occurred about 5–7 Ma. Radiometric dating3 and molecular clocks4 are based on unproven and problematic assumptions. When the evolutionary ages of fossils are given in this article, it is for the purpose of putting them in an evolutionary context, and it in no way implies that these age dates are valid. If publicity surrounding the announcement of a fossil find is anything to go by, then Sahelanthropus tchadensis is the frontrunner for the title of earliest hominid, as the hype was extraordinary even for apemen fossils, which have a reputation for making a lot of ‘noise’ on arrival. 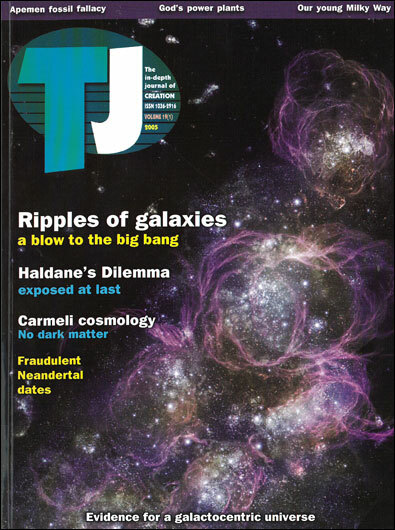 The cranium of Sahelanthropus (TM 266–01–060–1, nicknamed Toumai), found in Chad, Central Africa, was featured on the cover of the 11 July 2002 issue of Nature, with the title ‘The earliest known hominid’. The single cranium and other fossils (fragmentary lower jaws) were dated by the researchers, using associated fauna, to be between 6 and 7 Ma, with the cranium estimated to have a cranial capacity somewhere between 320 to 380 cm3.6 The odd thing about the Toumai cranium is that it looks chimpanzee-like from the back, but from the front it is said by one expert to pass as an advanced australopithecine. 7 According to Bernard Wood, a hominid of Toumai’ supposed age ‘should not have the face of a hominid less than one-third of its geological age’.7 Hence, if evolutionists accept Sahelanthropus as the earliest stem hominid, then this casts legitimate doubt on the human ancestry status of all other hominids with more ‘primitive’ faces,7 and, as such, would invalidate most of the geologically younger australopithecines. Almost before the print had dried on the hyped headlines surrounding Toumai’s arrival, other evolutionists, including Brigitte Senut of the Natural History museum in Paris, expressed doubt about Toumai’s hominid status. 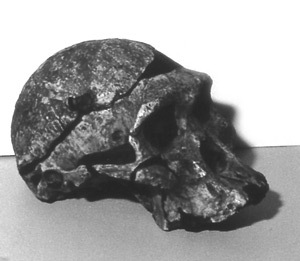 In an interview, she stated her view as tending ‘towards thinking this is the skull of a female gorilla’.8 This hardly corroborates Harvard paleontologist Daniel Lieberman’s earlier grandiose claim about Toumai being ‘the most important fossil discovery in living memory’.9 A team led by Wolpoff argued that Toumai’s impressive supraorbitals (large brow ridges), which are greater than in any australopithecine or extant ape, were more likely to be a mechanical response to strain,10 and not an indicator of facial similarity to the genus Homo. Examination of scars left on the back of the skull from neck muscle attachments led them to conclude that Toumai was a quadruped (i.e. walked on four legs, not two).11 After their examination of Toumai, they stated their belief ‘that Sahelanthropus was an ape’.12 Another alleged hominid feature of Toumai is its small canines compared to extant apes.13 Although Sahelanthropus differs from extant gorillas in some features, there are also many similarities, and according to Matthew Murdock there is a strong possibility that Sahelanthropus and extant gorillas are related in the sense that they are both members of the same biblical kind.14 If this is correct, then the small canines may just reflect greater canine size variation existing in this ape kind in the past, with the genetic information for small canines subsequently lost. Recently, claims have been made that one of the molars in the mandible was glued in the wrong place, and that an incisor collected at the site was not featured in the original Nature paper.15 The authors argued that the fossils attributed to Sahelanthropus ‘are the subject of debate as to whether they represent a hominid or an ape. It is therefore necessary to provide full and accurate details of the fossil collection.’16 As so often happens in paleoanthropology when the establishment is challenged, the pair making the claims suffered a backlash.17 Also predictable was that the relegation of Sahelanthropus to an ape followed the familiar pattern of not getting anywhere near the same media attention that greeted its initial ascension to apeman. Call it what you like, but is it science? Paleoanthropologist Tim White disagreed with this ‘gait’ assessment and attacked the latest published findings by saying that ‘the resolution of the CT scans was so poor that it was impossible to be certain of the pattern of bone thickness’.24 White also ‘called Senut’s displacement of australopithecenes “une position créationniste”, because it suggests that Orrorin’s femur was quite modern 6 million years ago, rather than evolving by stages’.24 It seems that even evolutionists that stray outside the orthodox evolution hominid story risk a backlash. A few months after Orrorin tugenensis was announced, another early hominid candidate, from Middle Awash, Ethiopia, called Ardipithecus ramidus kadabba, dated to between 5.2 and 5.8 Ma, was described in the journal Nature.25 The name of this specimen was, in 2004, elevated from subspecies status to a separate species, Ardipithecus kadabba, based on the recovery of additional fossil teeth.26 In kadabba (as in Orrorin) the fossil finds consisted of some postcranial bones, teeth, and jaw fragments, and so it is not known what the head of these creatures looked like. From the few (eleven) fossil scraps, belonging to at least five different individuals, from five different locations,25 it seems amazing that they can all be designated as belonging to the same subspecies, and later, on the basis of finding some additional teeth,26 that the fossils can be assigned to a new species. According to Balter and Gibbons, ‘The Orrorin and Ardipithecus teams assert that each other’s fossils could represent an ancestor of chimps or other apes, rather than one of our early human ancestors or cousins.’31 Perhaps both teams are partially right, as there is little doubt that both hominids were mere apes. In 1994 a team led by Tim White announced the finding of Australopithecus ramidus from Aramis, Ethiopia, which, at the time, being dated at 4.4 Ma, was the earliest ‘hominid’ find of any significance.32 About eight months later, in a corrigendum, the authors reclassified the fossils into an entirely new genus, Ardipithecus, with the new species name being Ardipithecus ramidus.33 The original article was accompanied by a cover photo, in the 22 September 1994 issue of Nature, of a small jaw fragment from Ardipithecus ramidus, containing an embedded tooth, with the title ‘Earliest hominids’. Hence, one would have expected a significant find, but instead the fossils, comprising postcranial, dental and cranial scraps, in the authors own words, ‘shows a host of characters usually associated with modern apes’.34 The authors argue for hominid status mainly based on a more incisiform canine morphology and a more anterior position of the foramen magnum, as they believe ‘Acquisition of these states at Aramis may correlate with bipedality although this remains to be demonstrated.’35 Even in the evolution community, not everyone is convinced that ramidus is a hominid. According to Peter Andrews, of London’s Natural History Museum, the thin enamel on the teeth of ramidus ‘is more of what you’d expect from a fossil chimp’, and the features of an upper arm bone ‘suggests knuckle-walking, chimp-style’.36 Recently, more fossil scraps from Afar, Ethiopia (jaws, teeth, toe and finger bones), were assigned to at least nine ramidus individuals, and claims of bipedality were made based on the dorsal orientation of the proximal joint surface of a proximal foot phalanx, a feature also seen in kadabba.37 See the kadabba section above for a refutation of this bipedality claim. In 1995, dental, cranial and postcranial specimens from two separate localities in Kenya, dated from about 3.8 to 4.2 Ma, were announced as belonging to a new hominid species, Australopithecus anamensis.38 Most of the fossil scraps undoubtedly came from an ape, such as the chimp-like jaws, but controversy has surrounded the alleged more human-like nature of the tibia and humerus.39 The anamensis humerus lacks a deep, oval hollow, used as a locking mechanism between the humerus and ulna, the latter being present in chimpanzees, but not in humans, and the anamensis tibia is wide, as in humans, because of extra spongy tissue, which acts as shock absorbers during bipedal locomotion.40 At the time of publication, paleontologist Peter Andrews raised the suggestion that the tibia and humerus, coming from different sections (upper level) of the Kanapoi locality strata than the ‘primitive’ jaws and teeth (lower level), might possibly ‘be related to humans and the other to apes’.41 There were some mandible fragments (KNM-KP 29287) found in upper-level strata, but these were from a different (higher) level than the tibia ( KNM-KP 29285) and humerus (KNM-KP 271).42 At the time there was also the problem of several hundred thousand years in evolutionary time between the upper and lower levels, but in a later paper, dates were obtained that narrowed the time gap.43 In this later article additional finds of fossil scraps from anamensis were reported, but no additional evidence was provided associating them with the tibia and humerus. Also, the 2000 analysis of a fossil radius (KNM-ER 20419) from the other anamensis location, Allia Bay, indicated ‘specialized wrist morphology associated with knuckle-walking’.44 In a paper co-authored by Meave Leakey, anamensis is said to be very like afarensis, postcranially, with the humerus, tibia and radius ‘almost exactly matched in size and morphology to the A. afarensis collections from Hadar’.45 Hence, if the postcranial remains do belong to anamensis, then at most you have an ape-like creature with a similar locomotion pattern to the ape-like afarensis. As more in-depth analysis has been performed on afarensis, which has more postcranial fossils attributed to it, the reader is referred to that section. Lucy is the most famous Australopithecus afarensis specimen, with about 40% of the postcranial skeleton recovered. The central argument for afarensis being a hominid is that the creature had an erect posture and was capable of bipedal locomotion. The argument that afarensis was bipedal is based on skeletal reconstructions of the pelvis and lower limb bones. As up to 40% of Lucy’s postcranial skeleton was recovered, a lot of the morphological and biomechanical analyses are based on these bones, although not exclusively so. One problem with reconstructions of Lucy’s skeleton (dated to about 3.2 Ma) is the subjective nature of the work, as predetermined belief about the posture of afarensis may bias the reconstruction of the skeleton. How else can the following statement by Maurice Abitbol, who studied Lucy’s pelvis, make sense? So what exactly do we have in afarensis? The answer is a creature with the brain the size of an ape, a skull that was ape-like with a body similar in shape and size to an ape, and a creature that was specialized for climbing in trees and knuckle walking, similar to apes. In other words, you have an ape. However, if afarensis also had some limited ability for non-human bipedal locomotion, which was perhaps more efficient than that of extant bonobos, is this evidence that the creature was an apeman, or does it just reflect the diversity of the ape/australopithecine body structure that God created? That the answer lies with the latter is indicated in the analysis of the skeletal remains of an ape from Italy called Oreopithecus bambolii, dated from 7 to 9 Ma, whom nobody appears to want to label a hominid, as the fossil remains are in the wrong location and outside the hominid time ‘window’, yet bambolii had an anatomy supporting limited bipedal locomotion.80 According to the authors of the study, parts of the pelvis of bambolii resembled that of afarensis, and its femur showed ‘a pronounced diaphyseal angle combined with condyles of subequal size, similar to Australopithecus and Homo and functionally correlated with bipedal activities’. 81 According to Henry Gee, ‘this creature is thought to have become bipedal independently and was only distantly related to hominids’.82 Apes evolving a form of bipedal locomotion once is difficult enough to believe or imagine; that it must have independently happened multiple times, in order to ‘rescue’ evolutionary theory, reveals evolution to be a collection of just-so stories that can be accommodated to almost any scenario, no matter how absurd or unlikely. That a limited non-human form of bipedal locomotion existed in apes unrelated to, and earlier than, any hypothetical hominid, indicates that possession of bipedal traits are not indicative of hominid status. In March 2001 yet another ‘hominid’ appeared on the cover of Nature, with the headlines reading ‘The human family expands’. Inside was an article describing a new creature, from Lake Turkana, Kenya, called Kenyanthropus platyops.83 Being dated at 3.5 Ma has brought platyops into direct competition with afarensis as the trunk hominid that supposedly gave rise to the genus Homo.84 The main excitement was over a badly distorted cranium. Its cranial capacity was estimated to be of ape proportions, but largely because of its flat face, unusual for a supposed hominid at that stage of evolution, the specimen was assigned to a new genus Kenyanthropus. However, there are strong indications that the flat face was due to severe expanding matrix distortion, an artifact of the fossilization process,85 and so platyops is undoubtedly just another ape. In 1995 the mandible from this creature, found in Chad, was described as being most similar to the contemporary species afarensis.86 The specimen from Chad, date estimated at between 3 and 3.5 Ma, was, in 1996, assigned to the new species Australopithecus bahrelghazali. It was judged different from afarensis on certain morphological features of the mandible, premolar roots and premolar enamel thickness. However, such a meager find hardly warrants the creation of a new species. There is no reason to view bahrelghazali as anything but an ape, probably of the same kind as afarensis. The Australopithecus africanus cranium STS 5 (nicknamed ‘Mrs Ples’) is one of the most complete australopithecine crania ever found. It was discovered in 1947 by Robert Broom and John Robinson at Sterkfontein, South Africa. It has a cranial capacity of about 485 cm3. Australopithecus afarensis is considered by many as being ancestral to africanus, but comparisons of the limb proportions of the two species indicate less ape-like forelimb to hindlimb joint sizes and limb lengths in the supposedly older and craniodentally more ‘primitive’ afarensis.90 According to the authors of these studies, ‘This implies that limb proportions changed back and forth in the hominid lineage or our present view of hominid relationships is too simplified.’91 Rather, the confusion of hominid relationships exists because there never was an evolutionary relationship between hominids to begin with. According to Klein and Edgar, africanus possessed a very ape-like upper body, with long, powerful arms suitable for tree climbing, but the lower body was ‘shaped for habitual bipedal locomotion on the ground’.92 However, as mentioned above, CT scans of the bony labyrinth of the inner ear showed that the semicircular canal dimensions in crania attributed to africanus were similar to those of extant great apes.77 Hence, if africanus did walk bipedally in some manner, it is unlikely to have been habitually. In 1999 the remains of Australopithecus garhi, a supposed 2.5-million-year-old hominid from the Hata beds of Ethiopia’s Middle Awash, was said to be distinguished from afarensis ‘by its absolutely larger postcanine dentition and an upper third premolar morphology with reduced mesiobuccal enamel line projection and less occlusal asymmetry’.96 However, when viewing the very incomplete cranial remains of the creature, with a cranial capacity estimated at 450 cm3, it is difficult not to wonder whether differences in a few dental features have been overemphasized, as this specimen surely could have been assigned to the species afarensis. Perhaps the later evolutionary date was a factor. Regardless of its affinity to afarensis, the ape-like nature of its skull establishes garhi as nothing more than an ape. The robust australopithecines are conventionally made up of the species Australopithecus robustus (1.5 to 1.8 Ma) from South Africa, and the two East African species Australopithecus boisei (1.3 to 2.3 Ma) and Australopithecus aethiopicus (2.3 to 2.7 Ma), with the combined evolutionary age range for the three species from 1.3 to 2.7 Ma.100 Some paleoanthropologists assign them to a separate genus, Paranthropus. None of the robust australopithecine species are regarded by evolutionists as ancestors of true humans, but rather as side branches that met a dead end, 101 ‘because their teeth and skulls were so specialized and because they coexisted with more plausible ancestors after 2.5 million years ago’.102 It is because of ‘their huge chewing teeth and rugged skulls’ that they have been called robust australopithecines, although they had small brains and bodies.103 From the skulls of these creatures, it is obvious that there was nothing human-like about them. As can be seen from this replica skull of Australopithecus boisei, there was nothing human about the heads of the robust australopithecines. In a similar replica at the San Diego Museum of Man, a lower jaw has been included, which is based on a fossil found 50 miles away. The morphological features of the hominid fossils assigned to taxa outside the genus Homo indicate they were mere extinct apes. A species is not equivalent to a biblical kind, and several of the non-Homo hominids may just represent variation within one or more ape kinds, just as the fossil species included in Homo, excluding the invalid taxon Homo habilis, are believed to represent variation within the one human kind. It may well be that extant apes are surviving remnants of these hominid ape kinds, which have lost much of their genetic diversity. In general, where fossil material is available, these hominid creatures had brains the size of apes, skulls that were ape-like, and bodies similar in shape and stature to apes. The morphology of creatures such as Australopithecus afarensis indicates that they were specialized for climbing in trees, as well as knuckle walking, as are apes. Much has been made of skeletal features, indicating some of the australopithecines, including afarensis, may also have had limited ability for non-human bipedal locomotion. However, similar limited bipedal ability also existed in apes not considered hominids, such as Oreopithecus bambolii, dated to earlier than the supposed human and chimpanzee split. Hence, how can a trait be used as an argument for the uniqueness of all hominids, and their evolutionary relationship, when the trait is not unique to these supposed hominids? It is like saying whales must have evolved from creatures like hippopotamuses because they can both swim (or do they believe that, too?). I suppose this is why evolutionists like the word parallel so much, as in parallel evolution. Call it what you like, but is it science? The puzzling Homo naledi: a case of variation or pathology in Homo erectus? 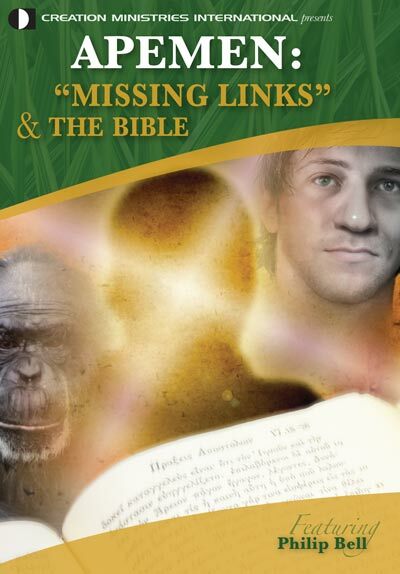 Harrub, B. and Thompson, B., The Truth About Human Origins, Apologetics Press Inc., Montgomery, AL, pp. 8–10, 2003. Return to text. Gribbin, J. and Cherfas, J., The First Chimpanzee: In Search of Human Origins, Penguin Books, London, pp. 116–117, 2001. Return to text. Sarfati, J., Refuting Compromise, Master Books, Green Forest, AR, pp. 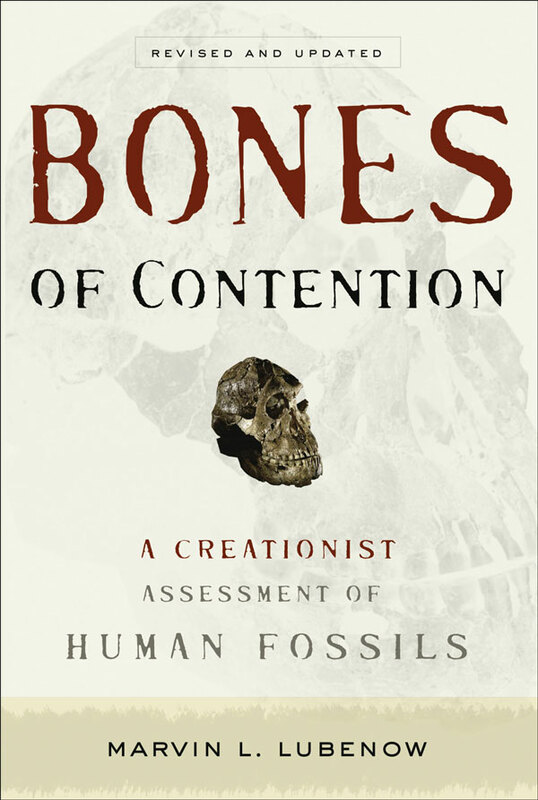 376–388, 2004; Lubenow, M.L., Bones of Contention: A Creationist Assessment of Human Fossils, Revised and Updated, Baker Books, Grand Rapids, MI, pp. 273–292, 2004. Return to text. Harrub and Thompson, ref. 1, pp. 99–134; Lubenow, ref. 3, pp. 222–235. Return to text. Lubenow, ref. 3, p. 187. Return to text. Brunet, M. et al., A new hominid from the upper Miocene of Chad, Central Africa, Nature 418:145–151, 2002. Return to text. Wood, B., Hominid revelations from Chad, Nature 418:134, 2002. Return to text. BBC News, Skull find sparks controversy, <news.bbc.co.uk/hi/english/sci/tech/newsid_2125000/2125244.stm>, 13 July 2002. Return to text. Montgomery, B., Man’s ancestors 7m years old, The Australian, 11 July 2002, p. 1. Return to text. Wolpoff, M.H., Senut, B., Pickford, M. and Hawks, J., Sahelanthropus or ‘Sahelpithecus’? Nature 419:581–582, 2002. Return to text. Ancient skull more ape than human? <www.cnn.com/2002/TECH/science/10/09/ancient.skull/index.html>, 10 October 2002. Return to text. Wolpoff et al., ref. 10, p. 582. Return to text. Brunet et al., ref. 6, p. 151. Return to text. Murdock, M., Sahelanthropus tchadensis—the ambiguous ape, TJ 18(3):114, 2004. Return to text. Beauvilain, A. and Guellec, Y.L., Further details concerning fossils attributed to Sahelanthropus tchadensis (Toumai), South African J. Science 100:142–144, 2004. Return to text. Beauvilain and Guellec, ref. 15, p. 142. Return to text. Dalton, R., Brickbats for fossil hunter who claims skull has false tooth, Nature 430:956, 2004. Return to text. Aiello, L.C. and Collard, M., Our newest oldest ancestor? Nature 410:526–527, 2001. Return to text. Balter, M., Scientists spar over claims of earliest ancestor, Science 291:1460, 2001. Return to text. Wong, K., An ancestor to call our own, Scientific American Special 13(2):9, 2003. Return to text. Begun, D.R., The earliest hominins—is less more? Science 303:1479, 2004. Return to text. Shipman, P., Hunting the first hominid, American Scientist 90(1), 2002; <www.americanscientist.org/template/AssetDetail/assetid/18641>, 13 August 2004. Return to text. Galik, K., Senut, B., Pickford, M., Gommery, D., Treil, J., Kuperavage, A.J. and Eckhardt, R.B., External and internal morphology of the BAR 1002′00 Orrorin tugenensis femur, Science 305:1450–1453, 2004. Return to text. Gibbons, A., Oldest human femur wades into controversy, Science 305:1885, 2004. Return to text. Halle-Selassie, Y., Late Miocene hominids from the Middle Awash, Ethiopia, Nature 412:178–181, 2001. Return to text. Halle-Selassie, Y., Suwa, G. and White, T.D., Late Miocene teeth from Middle Awash, Ethiopia, and early hominid dental evolution, Science 303:1503–1505, 2004. Return to text. Halle-Selassie, ref. 25, p. 180. Return to text. Wong, ref. 20, pp. 8–9. Return to text. Begun, ref. 21, pp. 1478–1480. Return to text. Lemonick, M.D. and Dorfman, A., One giant step for mankind, Time (South Pacific) pp. 58–59, 23 July 2001. Return to text. Balter, M. and Gibbons, A., Another emissary from the dawn of humanity, Science 293:189, 2001. Return to text. White, T.D., Suwa, G. and Asfaw, B., Australopithecus ramidus, a new species of early hominid from Aramis, Ethiopia, Nature 371:306–312, 1994. Return to text. White et al., ref. 32, p. 88. Return to text. White et al., ref. 32, p. 311. Return to text. White et al., ref. 32, p. 312. Return to text. Fischman, J., Putting our oldest ancestors in their proper place, Science 265:2011, 1994. Return to text. 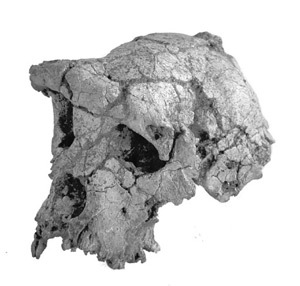 Semaw, S. et al., Early Pliocene hominids from Gona, Ethiopia, Nature 433:304, 2005. Return to text. Leakey, M.G., Feibel, C.S., McDougall, I. and Walker, A., New four-million-year-old hominid species from Kanapoi and Allia Bay, Kenya, Nature 376:565–571, 1995. Return to text. Leakey, M. and Walker, A., Early hominid fossils from Africa, Scientific American 276(6):63–64, 1997. Return to text. Leakey and Walker, ref. 39, p. 63. Return to text. Andrews, P., Ecological apes and ancestors, Nature 376:556, 1995. Return to text. Leakey, M.G., Feibel, C.S., McDougall, I., Ward, C. and Walker, A., New specimens and confirmation of an early age for Australopithecus anamensis, Nature 393:62, 1998; The distal end of the humerus was discovered in 1965 and is described in: Patterson, B. and Howells, W.W., Hominid humeral fragment from early Pleistocene of Northwest Kenya, Science 156:64–66, 1967. Return to text. Leakey et al., ref. 42, p. 62. Return to text. Richmond, B.G. and Strait, D.S., Evidence that humans evolved from a knuckle-walking ancestor, Nature 404:382, 2000. Return to text. Ward, C., Leakey, M. and Walker, A., The new hominid species Australopithecus anamensis, Evolutionary Anthropology 9:201, 1999. Return to text. 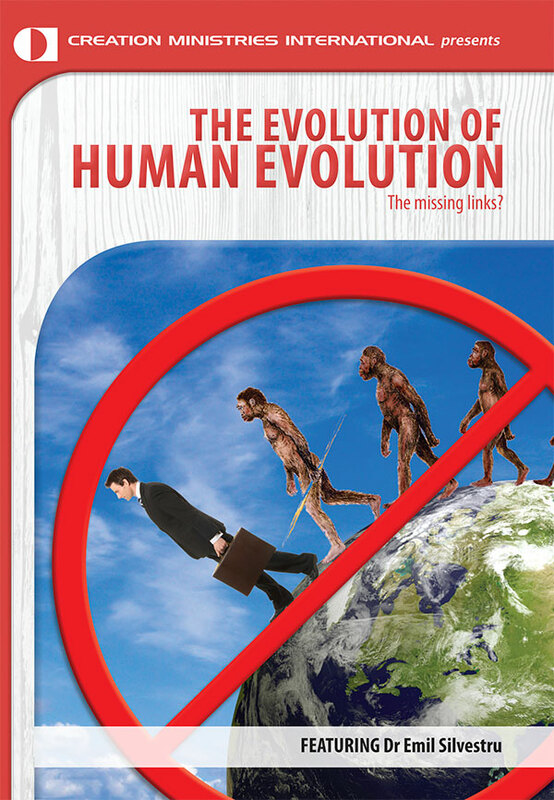 Reader, J., Missing Links: The Hunt for Earliest Man, Penguin Books, London, pp. 207–210, 1988. Return to text. Lewin, R., Bones of Contention, Penguin Books, London, pp. 268–300, 1987. Return to text. Wood, B. and Richmond, B.G., Human evolution : taxonomy and paleobiology, J. Anatomy 196:29, 2000. Return to text. McHenry, H.M. and Coffing, K., Australopithecus to Homo: transformations in body and mind, Annual Review of Anthropology 29:127, 2000. Return to text. Tattersall, I. and Schwartz, J.H., Extinct Humans, Westview Press, New York, p. 88, 2001. Return to text. Wood and Richmond, ref. 48, p. 28. Return to text. Kimbel, W.H., Johanson, D.C. and Rak, Y., The first skull and other new discoveries of Australopithecus afarensis at Hadar, Ethiopia, Nature 368:449–451, 1994. Return to text. Aiello, L.C., Variable but singular, Nature 368:399, 1994. Return to text. Kimbel, W.H., White, T.D. and Johanson, D.C., Cranial morphology of Australopithecus afarensis : a comparative study based on a composite reconstruction of the adult skull, American J. Physical Anthropology 64:337–388, 1984; Kimbel, W.H. and White, T.D., A revised reconstruction of the adult skull of Australopithecus afarensis, J. Human Evolution 17:545–550, 1988. Return to text. Shreeve, J., ‘Lucy,’ crucial early human ancestor, finally gets a head, Science 264:34, 1994. Return to text. Leakey, R. and Lewin, R., Origins Reconsidered: In Search of What Makes us Human, Abacus, London, pp. 193–196, 1992. Return to text. Stern, J.T. and Susman, R.L., The locomotor anatomy of Australopithecus afarensis, American J. Physical Anthropology 60:284–285, 1983. Return to text. Cherfas, J., Trees have made man upright, New Scientist 97:172, 1983. Return to text. Richmond, B.G., Aiello, L.C. and Wood, B.A., Early hominin limb proportions, J. Human Evolution 43:534–535, 2002. Return to text. Tattersall and Schwartz, ref. 50, p. 90. Return to text. Richmond et al., ref. 59, pp. 542–543. Return to text. Stern and Susman, ref. 57, p. 284. Return to text. Stern and Susman, ref. 57, p. 307. Return to text. Stern and Susman, ref. 57, p. 308. Return to text. Stern and Susman, ref. 57, pp. 283–284. Return to text. Richmond and Strait, ref. 44, p. 383. Return to text. Richmond and Strait, ref. 44, pp. 383–384. Return to text. Cherfas, ref. 58, p. 176. Return to text. Collard, M. and Aiello, L.C., From forelimbs to two legs, Nature 404:339, 2000. Return to text. Gamble, C., Timewalkers: The Prehistory of Global Colonization, Penguin Books, London, p. 58, 1993. Return to text. Abitbol, M.M., Lateral view of Australopithecus afarensis: primitive aspects of bipedal positional behavior in the earliest hominids, J. Human Evolution 28:228, 1995. Return to text. Abitbol, ref. 71, p. 211. Return to text. Berge, C., How did australopithecines walk? A biomechanical study of the hip and thigh of Australopithecus afarensis, J. Human Evolution 26:270, 1994. Return to text. Berge, ref. 73, p. 271. Return to text. Stern and Susman, ref. 57, p. 313. Return to text. Shipman, P., Those ears were made for walking, New Scientist 143:27, 1994. Return to text. Spoor, F., Wood, B. and Zonneveld, F., Implications of early hominid labyrinthine morphology for evolution of human bipedal locomotion, Nature 369:645, 1994. Return to text. Gibbons, A., Anthropologists take the measure of humanity, Science 264:350, 1994. Return to text. Lubenow, M.L., Paleoanthropology in review, TJ 10(1):13, 1996. Return to text. Kohler, M. and Moya-Sola, S., Ape-like or hominid-like? The positional behavior of Oreopithecus bambolii reconsidered, Proc. Nat. Acad. Sci. USA 94:11747–11750, 1997. Return to text. Kohler and Moya-Sola, ref. 80, p. 11747. Return to text. Gee, H., Return to the planet of the apes, Nature 412:131, 2001. Return to text. Leakey, M.G., Spoor, F., Brown, F.H., Gathogo, P.N., Klarie, C., Leakey, L.N. and McDougall, I., New hominin genus from eastern Africa shows diverse middle Pliocene lineages, Nature 410:433–440, 2001. Return to text. Wong, K., Finding Homo sapiens’ lost relatives, Scientific American 285(4):26–27, 2001. Return to text. White, T., Early hominids—diversity or distortion? 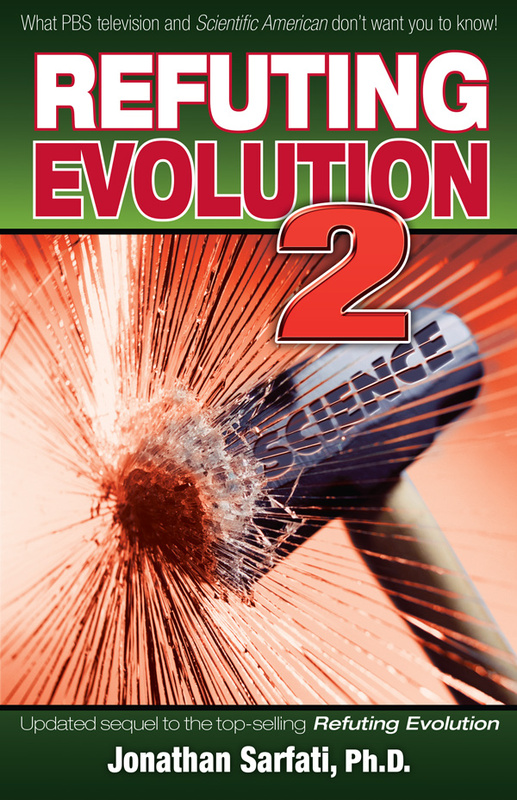 Science 299:1994–1997, 2003. Return to text. Brunet, M., Beauvilain, A., Coppens, Y., Heintz, E., Moutaye, A.H.E. and Pilbeam, D., The first australopithecine 2,500 kilometres west of the Rift Valley (Chad), Nature 378:273–275, 1995. Return to text. Falk, D., Redmond Jr, J.C., Guyer, J., Conroy, G.C., Recheis, W., Weber, G.W. and Seidler, H., Early hominid brain evolution: a new look at old endocasts, J. 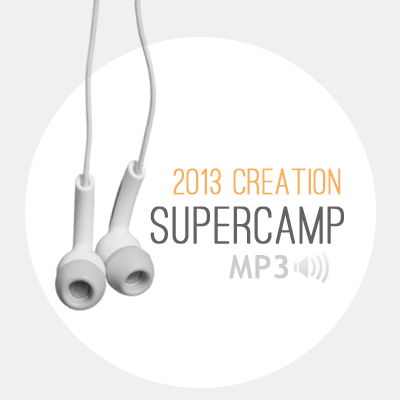 Human Evolution 38:709, 2000. Return to text. Klein, R.K. and Edgar, B., The Dawn of Human Culture, John Wiley & Sons Inc., New York, p. 35, 2002. Return to text. Wood and Richmond, ref. 48, p. 32. Return to text. McHenry, H.M. and Berger, L.R., Body proportions in Australopithecus afarensis and A. africanus and the origin of the genus Homo, J. Human Evolution 35:1–22, 1998; McHenry, H.M. and Berger, L.R., Limb lengths in Australopithecus and the origin of the genus Homo, South African J. Science, 94 :447–450, 1998. Return to text. McHenry and Berger, ref. 90, p. 447. Return to text. Klein and Edgar, ref. 88, p. 37. Return to text. McHenry, H.M., The first bipeds: a comparison of the A. afarensis and A. africanus postcranium and implications for the evolution of bipedalism, J. Human Evolution 15:179, 1986. Return to text. McHenry, ref. 93, p. 186. Return to text. McHenry, ref. 93, p. 187. Return to text. Asfaw, B., White, T., Lovejoy, O., Latimer, B., Simpson, S. and Suwa, G., Australopithecus garhi : a new species of early hominid from Ethiopia, Science 284:631, 1999. Return to text. Asfaw et al., ref. 96, pp. 632–633. Return to text. Richmond et al., ref. 59, p. 542. Return to text. Richmond et al., ref. 59, p. 543. Return to text. McCollum, M.A., The robust australopithecine face: a morphogenetic perspective, Science 284:301, 1999. Return to text. Johanson, D. and Edgar, B., From Lucy to Language, Simon & Schuster Editions, New York, p.152, 1996. Return to text. Klein and Edgar, ref. 88, p. 41. Return to text. Klein and Edgar, ref. 88, p. 39. Return to text. Johanson and Edgar, ref. 101, pp. 23, 152. Return to text. Klein and Edgar, ref. 88, pp. 57–58. Return to text. Mehlert, A.W., A review of the present status of some alleged early hominds, TJ 6(1):32, 1992. Return to text. Mehlert, ref. 106, p. 34. Return to text. Johanson and Edgar, ref. 101, p. 23. Return to text. Falk et al., ref. 87, pp. 708–709. Return to text. Wood and Richmond, ref. 48, p. 37. Return to text. Wood and Richmond, ref. 48, p. 38. Return to text. Wood and Richmond, ref. 48, p. 35. Return to text. Mehlert, A.W., Australopithecines—the extinct southern apes of Africa: a fresh light on their status? TJ 14(3):91–99, 2000.Return to text. Walker, A. and Shipman, P., The Wisdom of Bones: In Search of Human Origins, Weidenfeld and Nicolson, London, pp. 192, 1996. Return to text.